One day you woke up with strange feeling. Maybe it came into your mind after you have watched a documentary on TV, or after chatting with your Russian friend on the Web? Nevermind. You woke up with a strong desire to visit a far country called RUSSIA. You start searching for some information, and first unpleasant moment is that you need visa for entering Russia. If you are from USA or EU, you are like O_O Visa? Really? Some countries are still using visas? Unfortunately, yes. You can't enter Russia without visa, except if you are from some special country. Citizens of the countries of the CIS (the Commonwealth of Independent States) are permitted to stay in the Russian Federation for up to 90 days without a visa. Then they have to go home for next 90 days, if they haven't found work or study place. Countries: Cuba, Montenegro, Serbia (with biometric passport), Thailand, Turkey (total amount of days in Russia not exceeding 90 in each 180-day period), Hong Kong (up to 14 days). Citizens of these Balkan countries can also stay in Russia without a visa for up to 30 days, but must also show tourist documents (voucher) or official invitation to immigration officials. 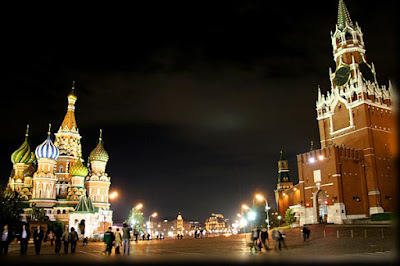 Most part of EU countries citizens have to apply for a visa even they would like to visit Russia for a short-time period.